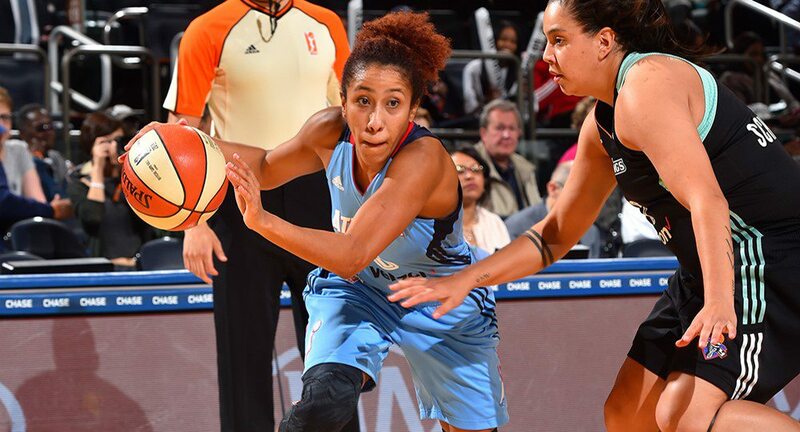 Former Texas women's basketball star Carla Cortijo and the Atlanta Dream will tip off against fellow Longhorn Imani Boyette's Chicago Sky in the WNBA playoffs Sunday (photo courtesy of texassports.com). AUSTIN, Texas — Texas Longhorns who compete in any sport develop a bond and identity that can last throughout their athletic careers. But once in a while, those relationships get tested when they end up competing each other as professionals. That will be the case Sunday, when former UT women’s basketball stars Carla Cortijo and Imani Boyette suit up as opponents when Cortijo’s Atlanta Dream and Boyette’s Chicago Sky face off in the second round of the WNBA playoffs. Cortijo, who played at UT from 2005-09, and the Dream reached the second round by knocking off the Seattle Storm, 94-85, Wednesday in Atlanta. Boyette, who played in Austin from 2012-16, and the Sky got through to the second round by virtue of a first-round bye. Sunday’s game will be broadcast on ESPN2. The winner will advance to a best-of-five semifinal.